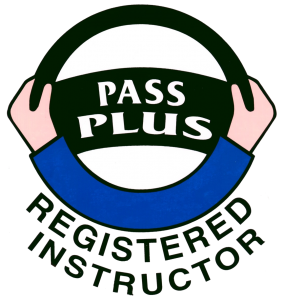 Pass Plus is a course introduced by the DVSA and is considered the best way to give additional driving experience to a qualified learner by an ADI (Approved Driving Instructor) that has been Pass Plus registered. The main aim of this course is to impart valuable knowledge to drivers who have recently passed the practical driving test, and who want to learn new skills and techniques, improve their anticipation and alertness and learn how to reduce accidents. Drive Fareham offer the DVSA approved Pass Plus Course in Fareham to help build on your driving skills learn up to this point and enhance them to bring in more advanced aspects including motorways. This official course is recognised by many insurers and can lead to a reduced insurance premium when you complete it. All modules are practical sessions, although local conditions may mean some are theory based. You’ll normally spend at least 5.5 hours driving. If you learnt with us we cap our fee's at the minimum 6 hour cost. That is because we know that you have been well trained and will be of a good standard to comfortably reach the required standard to pas the course. 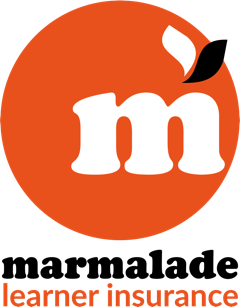 If you do need any extra time on any aspect, we'll cover that for free. More information on the Pass Plus course is available from the DVSA here. Motorways are one type of road that many people lack confidence and experience driving. Whether you are still learning, just passed your test or have been driving for many years, we offer motorway lessons to help you build on and apply the skills you already have to the motorway environment, whilst giving you the support to build your confidence driving on motorways. Many people are fearful driving on motorways. Although there can be very serious accidents on motorways, they are perhaps the safest type of road given that everyone on the carriageway is heading in the same direction, no one can turn across the oncoming traffic and there are lanes defined to keep everyone where they need to be. Many driving schools will say that you need different skills to drive on motorways, but this is simply not the case. You have learnt all of the skills you need when learning to drive already, it's just learning to apply them in the faster paced environment of the motorway. The key skills are around positioning, observation, safe judgement of distances and speed, use of mirrors, signals and when/how to manoeuvre... sound familiar??? We can help you learn to apply those skills that you already have. If you have just bought your 1st car but are nervous about driving it for the first time, we can accompany you to give you the support, expertise and guidance whilst you build your confidence with your new pride and joy. If you have just purchased a new car (perhaps your 1st car after passing your test), we can spend a single lesson helping to ensure that you are safe whilst you get used to the size, speed and controls of your new car. It will give you peace of mind whilst you gain the confidence you need to go out on your own in your new pride and joy! To discuss these or any of our services please Contact Us. 1st time pass for Mark!